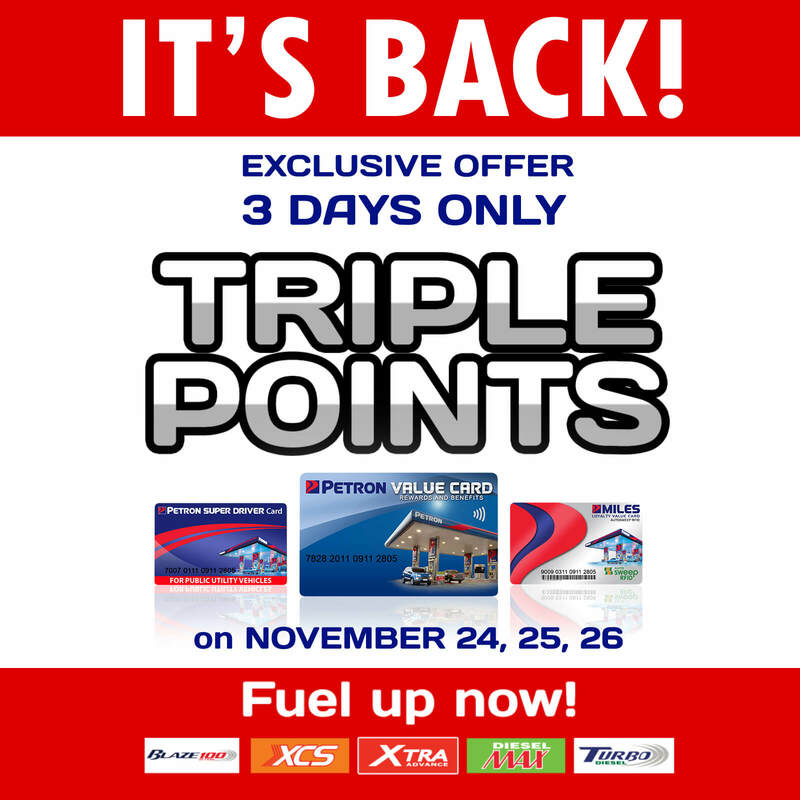 For every purchase of any Petron fuel product (Blaze 100, XCS, Xtra Unleaded, Turbo Diesel, and Diesel Max), customer will be awarded 3x of the corresponding regular PVC points earned during the transaction. Promo is applicable to registered PVC and SDC holders only. Valid for cash, credit card, and Petron eFuel transactions. Awarding of 3x the regular points will be applied to transactions between 12:01AM on November 24 to 11:59PM on November 26, 2018 only. Triple points shall only apply to regular points and shall exclude promo points such as frequent visit points and birthday bonus points. 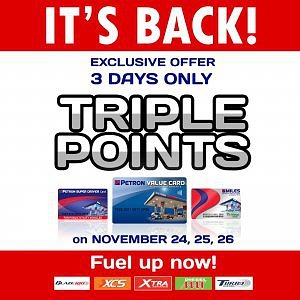 Promo is valid only at participating Petron stations nationwide. All existing Petron Value Card and Super Driver Card guidelines will continue to apply. No registered PVC/SDC, no points. Promo is not applicable to PO, bulk, and fleet accounts.